Language and culture are closely related. Understanding the culture of a country facilitates learning of its language. JICE held a Workshop for Understanding Japanese Culture through kendo, a Japanese Martial Art, at Can Tho University (CTU) on August 3, 2017. This event was held as an enrichment program for the pre-departure Japanese language course for the 21 CTU lecturers and administrative staff who are scheduled to study in the doctoral or master’s programs in the Japanese universities starting this year or the next. A total of 37 participants including the members from Can Tho City Vietnam-Japan Friendship Association joined the workshop. Kendo is a popular Japanese martial art, which descended from swordsmanship in the 16th century and uses bamboo swords (shinai) and protective armor (bōgu). Today, it is widely practiced within Japan and many other nations across the world. In the first half of the workshop, Ms. Rie Tejima, Japanese language instructor from JICE and 2nd dan grade holder of kendo, explained the historical background of kendo in Japanese with interpretation to Vietnamese made by Dr. Van Pham Dan Thuy, Head of Human Resources Development Unit for CTU Improvement Project. 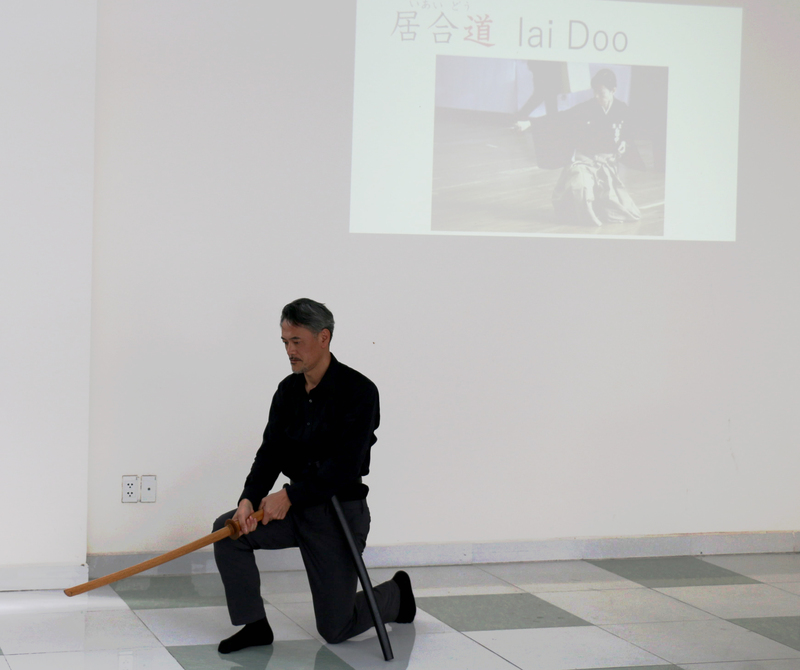 Then Mr. Yasuharu Uchiyama, a member of the consultant team for the CTU Improvement Project displayed a powerful demonstration of iaido. In the latter half, the participants created their own shinai by using newspaper. Finally, they practiced basic movement such as rei, suriashi, men, dou and voice and played actual matches. Among the participants in the workshop, those who have attended JICE’s pre-departure language course seemed to have understood Ms. Tejima’s explanation without interpretation and reacted to her instruction instantly. It was an evidence that participants have acquired practical knowledge of Japanese necessary for study in Japan. JICE will implement the best Japanese language training based on 40 years of experience for both improvement of language proficiency and deeper understanding of Japanese culture, which will contribute to their fruitful study experience in the Japanese universities. *Please see the link below for further information on this project and its Japanese language training.